There are many healthcare entities out there that believe having and using their Electronic Medical Record Software (EMR or CEHRT) software makes them automatically 100% with Meaningful Use. Unfortunately, that notion is false. As an EMR vendor, it’s your responsibility to do what it takes to make sure your clients remain HIPAA compliant — as well as yourself — and that the electronic Protected Health Information (ePHI) you and your clients handle remains secure. HIPAA One® is the solution you need to ensure one-stop shopping for Meaningful Use compliance including the requirement to perform a HIPAA Security Risk Analysis. Easily establish a bona fide HIPAA Security Risk Analysis and Gap Assessment in a single, non-redundant workflow. Assurance of a complete and consistent HIPAA Security Risk Analysis product that includes ongoing remediation planning. Perform a Risk Analysis in the self-assessment mode, or with our onsite professional services, or have us train your staff to perform the services internally. ePHI remains securely protected from unauthorized access. Alleviates liabilities associated with providing ad-hoc spreadsheets and simple checklists to your user communities. Responsive software development and enhancement requests with our Utah-based development crew. Besides these benefits, our easy-to-use solution has also been successfully used numerous times to appropriately respond to Meaningful Use Stage 1 and Stage 2 audits. 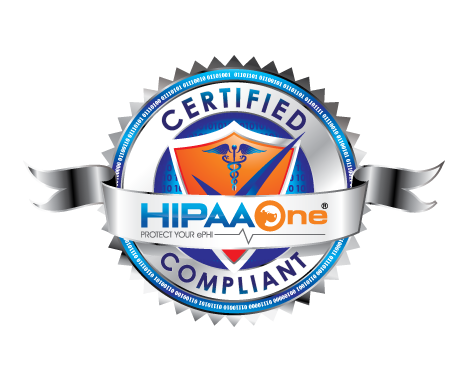 HIPAA One® is the simple and affordable solution to fixing and preventing any risks or vulnerabilities your clients might have. It’s the best way to keep your clients HIPAA compliant and a great way to improve your client services and your relationship with each client. We’d love to answer any of your HIPAA related questions or questions about our software system. Contact us today with your questions or for more information about becoming a partner with HIPAA One®.